Eric Gargiulo Answers....The Count of 10 - WrestleCrap - The Very Worst of Pro Wrestling! This week, the Count of 10 welcomes Eric Gargiulo. While Eric may not be known on a global scale, he’s had quite an interesting career. Though trained as a wrestler, Gargiulo’s biggest mark on the sport comes from his voice, and his journalistic acumen. 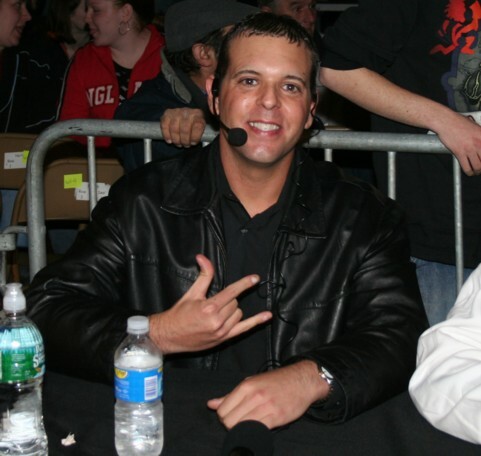 Gargiulo served as ring announcer for ECW house shows, and has served as play-by-play announcer for the likes of Ring of Honor, Combat Zone Wrestling, and several other independent outfits. He’s also prolific in the field of shoot interviews, having been associated with RF Video since 1996. These days, Eric runs Camel Clutch Blog, a highly successful sports and wrestling journal (which is where yours truly got his start), while continuing to interview wrestling legends, most notably interviewing his favorite guest Bruno Sammartino shortly after his Hall of Fame induction was announced. Check out Camel Clutch Blog, or reach the always chatty Eric on Twitter. 1. Having interviewed Bruno Sammartino on several occasions, what’s surprised you most about him? How humble he was. For a guy that was the Hulk Hogan, Steve Austin, even Babe Ruth of his era, you’d never know it talking to him. The man has very little ego and is one of the nicest, most honest guys I have ever interviewed. 2. Given the vast amount of interviews that you’ve conducted, what was the most unexpected answer or anecdote that you recall receiving? I would say going back to 2000 when I interviewed Bret Hart, and he talked about Shawn Michaels. Bret told me that he missed his friendship with Shawn. That was the first time I ever heard him say anything remotely nice about the guy during that time period. Superstar Graham also told me a story about how he thought about faking an injury so he didn’t have to drop the belt to Backlund, that was a bit surprising. 3. What do miss most about ECW? The road. It was a blast to get on the road every weekend with those guys and do nothing but travel for the weekend and work in wrestling with the craziest show in America. I am 40 with a family, so it’d never work today. But hitting the road in your twenties and getting paid to watch the best shows in the country was pretty awesome. 4. As great of a job as Daniel Day-Lewis did in Lincoln, you and I, as Philly guys, know Bradley Cooper got screwed. Why doesn’t the Academy appreciate guys who wear DeSean Jackson jerseys? It’s such a work. They make some guys pay their dues, but yet they will take an unknown like the girl in Precious, and prop her up with a feel good story. All of those award shows are such big works. Wrestling is more honest! 5. Who was your greatest influence in terms of your commentating style? Jim Ross Mid South/UWF all the way. When I started commentating, I used to watch hours and hours of Jim Ross tapes from that time period and study his inflection, his psychology, his timing, everything the guy did. I don’t think there was anyone better. 6. What was it like being part of the “uneasy alliance” between Ring of Honor and CZW ten years ago, when you banded together against XPW’s Philadelphia invasion? It was weird and, looking back on it, God was it so stupid. We (CZW) all had this “war” mentality when at the end of the day it really came down to Zandig and Rob Black and Rob Feinstein. Nobody really cared about us. A great example of this is when I quit ROH. I was never pressured to quit, but it got so hot between Rob/Gabe and CZW that I just felt out of loyalty I should. Worst career decision ever, by the way. Here, a couple of years later when XPW comes in you have CZW making a deal to work with ROH on an angle. When it was convenient for these companies to work together, none of that other stuff mattered. It was a big slap in the face in a sense. Looking back on it now, all of those speeches were just so corny about war, etc. It was only a war when it was convenient. 7. You recently ranted on Camel Clutch Blog about Jack Swagger and Zeb Coulter’s kayfabe breach, in which they ridiculed Glenn Beck. Why does WWE feel the need to shield their fragile ego so much? It’s amazing to me that they can be so sensitive at times. Like when when they went to court trying to sue over voters wearing WWE t-shirts, yet they confiscate signs at their own shows. I think that Vince is always going to be the nerd in school that, no matter how much success he has, he is still sensitive when someone in the mainstream media ridicules his company. It’s truly amazing. I bet it will greatly change when Triple H fully takes over and Vince is long gone. 8. Are you surprised by the success of Camel Clutch Blog? Absolutely! It was never my intention. I started it as simply a way to have an outlet to write. I never even realized how much I loved to write until I started blogging. It’s really a blessing, and sometimes a curse, in that it can be a lot of work. I didn’t mind until last year when I had my daughter. In the past I’d get up early before work and stay up late blogging. Now I pick and choose those times because, honestly, I’d rather see her and my wife. Its become a full time job with part time pay. But it is very humbling indeed. I am very lucky in one sense but in the other I have worked my tail off on it so it is very fulfilling. I really owe a lot to all of the great contributors I have had write for the blog as well as the loyal readers. It blows my mind sometimes when I see how many thousands of people come back every day just to read my musings. Really does. 9. Getting back to Bruno, as a diehard supporter of “The Living Legend”, are you thrilled to see him in the Hall of Fame, or somewhat disappointed that he changed his stance? When I first heard the news, I was disappointed. I just couldn’t see how, after 10+ years of telling me how much of a joke it was, why he’d participate. But after talking to him, I completely understand. He gave me about a 20+ minute explanation of how it came about and why and it made sense. He doesn’t need the money, and it certainly wasn’t for ego. I think it is great that he will leave his legacy behind in video games and new DVDs and fans can truly appreciate his success. Quite frankly, though, I don’t know how long it will last. The WWE has a tendency of mocking their legends and I can tell you that the second they get cute with him, he’s out. 10. You and I have a history of plugging each other’s work, so given that this is your forum, what upcoming project(s) would you like to plug? First, I want to say what a pleasure it is to do this for you. You’re one of my favorite writers. Second, the Camel Clutch Blog at http://www.camelclutchblog.com. It’s not a news site, so if you are looking for quick bites on a story you will probably be disappointed. But, if you are looking for strong opinions and fun blogs than this is your place. WrestleMania is heating up so I’ll have a lot of new Mania blogs, lists, recaps, previews on the site in addition to whatever else comes along the way. I try and update the site with new and unique stories 3-5 a day, 7 days a week, so you’ll always find something new on the site. Speaking of Bruno, I have a brand new interview on the CCB where he goes in depth on his decision to go into the Hall and more. You can also check out my old interviews with some of the biggest stars in the business over at http://prowrestlingradio.com. Finally, give me a follow on Twitter. 2 Responses to "Eric Gargiulo Answers….The Count of 10"
Oddly enough, I started reading Camel Clutch Blog because of you, Justin. 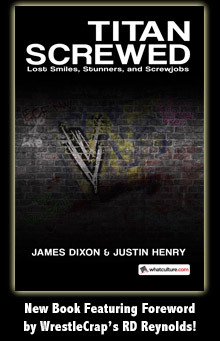 I still read it, mostly for the recaps on Impact and Smackdown, but will read the other articles occasionally. He’s spot on about the Oscars and other award shows.